This workshop presents and demonstrates CIShell powered tools such as the Network Workbench (NWB) Tool (http://nwb.slis.indiana.edu) and the Science of Science (Sci2) Tool (http://sci2.cns.iu.edu).The NWB Tools is a network analysis, modeling, and visualization toolkit for physics, biomedical, and social science research. 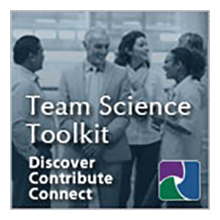 The Sci2 Tool was specifically designed for researchers and science policy makers interested to study and understand the structure and dynamics of science. Both tools are standalone desktop applications that install and run on Windows, Linux x86 and Mac OSX. The tools provide easy access to more than 160 algorithms for the study of temporal, geospatial, topical, and network datasets at the micro (individual), meso (local), and macro (global) levels.